Riding a bike in busy traffic can be an overwhelming situation for most of the bikers. Those who commute via bike, especially in countries like India, the situation can get worse in a matter of seconds. Due to thelack of responsible behaviour by most of the drivers, the roads are never safe. To make sure that you reach your office safely, here are a few tips which will help you in dealing with heavy traffic while riding your bike. Before you take your bike out on the road, there are a few things that you need to take care of. First of all,ensure that you arecompletelystress-free as you are going to judge the road multiple times during the ride. Further, make sure that you are wearing necessary gear like a jacket and helmet. Lastly, check brakes and tyre pressure before you start the bike so that you do not get into trouble in the middle of the road. If you are daily commuting to your office via bike, there is no use of becoming anadrenaline junkie while riding. Be responsible and make sure to balance the bike with complete body strength. Your posture should be at ease in accordance with the shape of the bike to avoid any stress on your back and leg muscles. Learn to judge the movements of other bikersin front and back of you. Never put the rear-view mirror to rest as it will help you when you are about to get into heavy traffic. You should also be aware of the location of the heavy vehicles aroundyou so that when the times comes, you can change the lanes easily. Learning how to use the brakes on time is one of the most important riding skills. Always keep the feet on the rear brake and fingers close to the handbrake so that if the time comes to apply brakes because some stupid driver decided to apply brakes in front, you can stop the bike immediately. Bikers are known to race but if the conditions are not favourable keep the speed much lower than the speed limit and try to flow with the traffic. Even though the road in front of you is clear and smooth, do not jump on the accelerator to speed up your bike. You can never know from which direction a dangerous vehicle or even an animal can emerge. Therefore, make sure to check all the directions. Also, instead of turning your head multiple times, learn to use rear view mirrors. Do not get agitated by the slow traffic and flow with it even if it gets slower. Sooner or later you will find a small escape point which you can take after considering all the possible scenarios. 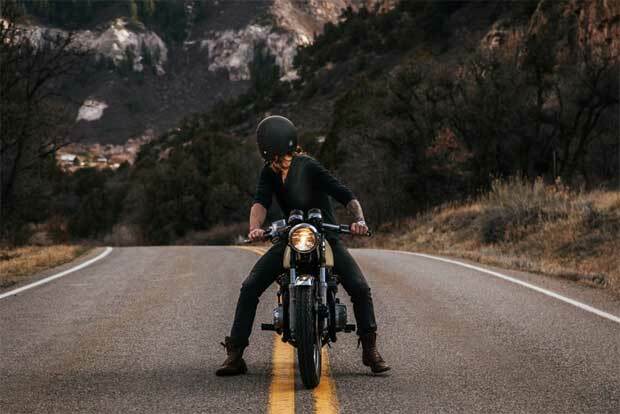 As a biker, your brain will develop a sense of understanding the vehicles around you and will tell you when its time to skip the lane and change direction for good. Till then, move slowly with the traffic. On all roads especially during heavy traffic, there are blind spots which give out no idea about the other side. Avoid jumping towards them in order to save some time. There are a lot of aspects of riding a bike. From taking care of your mighty machine to understanding the roads and from learning the importance of riding gear to getting your bike serviced on time. The tips mentioned above will give you an idea of how you can ride yourbike safely in heavy traffic and reach your destination safely. If you are taking every possible step to secure yourself against accidents while riding your bike through heavy traffic, then you should not compromise on comprehensive bike insurance. In addition to third-party liability, comprehensive bike insurance coversyour bikeagainst damage caused due totheft, accidents, natural disaster,fire, malicious actetc. Also, personal injury which arises out of such accidentsis covered by the personal accident cover benefit. Thus, it is always preferable to buy comprehensive insurance for your bike. You can purchase bike insurance online, after considering your requirements and comparing two-wheeler insurance policies on offer.